MOSCOW, Aug 20 (Reuters) – Russian soldiers rode into battle against Georgia perched on top of their armoured personnel carriers, not out of bravado but because a flaw in their armour can make it more dangerous to travel inside. The conflict — Russia’s biggest combat operation outside its borders since the Soviet occupation of Afghanistan — showed its armed forces have emerged from years of neglect as a formidable fighting force, but revealed important deficiencies. Those weaknesses, especially in missiles and air capability, leave Russia still lagging behind the image of a world-class military power it projects to the rest of the world. “The victory over the Georgian army … should become for Russia not a cause for euphoria and excessive joy, but serve to speed up military transformations in Russia,” Ruslan Pukhov, director of Russia’s Centre for Analysis of Strategies and Technology, wrote in a report. The performance of the armed forces will be examined closely by NATO planners, who have been prompted by Russia’s newly assertive foreign policy to start viewing the Kremlin once again as a potential adversary. It could also hold lessons for defence strategists in the Middle East: Russia supplies some of its hardware to countries such as Syria and Iran, while their foe Israel helps equip Georgia’s security forces. Russian forces were deployed in response to Georgian troops moving into Georgia’s Moscow-backed breakaway region, South Ossetia. Russia quickly crushed the Georgian army and its troops pressed on to within 45 km (30 miles) of the capital, Tbilisi. * Anatoly Khrulyev, the commander of the 58th army which spearheaded the operation, was wounded in a Georgian attack on day two of the Russian deployment. Media reports said he was travelling in a column of armoured personnel carriers (APCs), along with a group of Russian journalists, when they were ambushed by Georgian troops. Analysts said Russian APCs are not well protected against strikes by large-calibre weapons or land mines, which is one reason why troops often prefer to travel on top. * Russia said four of its aircraft — including one Tupolev-22 long-range supersonic bomber — were shot down by Georgia’s air defences. “It was remarkable that they shot down a number of Russian fighters, which Russia probably did not expect,” said Lieutenant-Colonel Dr. Marcel de Haas, Russia and security expert at the Netherlands Institute of International Relations Clingendael. Analysts said Russia failed to destroy Georgia’s anti-aircraft systems fast enough, probably because they did not have the aerial reconnaissance to establish where they were. * Russia’s tactics broadly followed a Soviet pattern, with an air and artillery attack followed by the deployment of a large ground force. Analysts said the need to send in a large ground force may have been dictated by a shortage of precision-guided missiles. “Missiles and rockets would negate the need for large-scale troop deployments in the way they had to carry them out,” said Colonel Christopher Langton, Senior Fellow at the London-based International Institute for Strategic Studies. The Kremlin has declared modernising its armed forces a priority. Its defence budget for last year was 22 percent higher than in 2006 and it plans to spend $189 billion on new hardware over eight years. Improvements were in evidence in the Georgian campaign. In contrast with the rag-tag conscripts humiliated in Russia’s rebel Chechnya region in the 1990s, commanders said the force in Georgia was made up entirely of professional soldiers. Reuters reporters on the ground saw disciplined, well-equipped troops. Petrol trucks shuttled around the front line refuelling tanks and APCs, and trucks ferried supplies of rations to soldiers manning checkpoints. But Langton said Russia’s campaign in Georgia left many questions about its military capability unanswered. 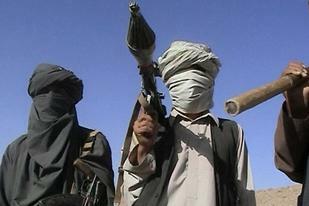 August 20, 2008: The Taliban have embarked on what amounts to a large scale suicide strategy. In addition to dozens of individual suicide bombers, they have dozens of field units, each of about a hundred gunmen, looking to score spectacular (from a media, not a military, standpoint) victories. Such attacks are being deliberately made against foreign troops from specific countries. France and Canada are particular targets. Month by month, the Taliban lose far more troops than they kill, in going after specific national contingents, but they are heartened by news reports of political unrest back in these countries, and calls for withdrawal of troops from Afghanistan. The Taliban don’t really understand how democracy works (since they consider democracy un-Islamic and sinful), and make more of the media and political ruckus these attacks generate, than is justified by the actual results. But the Taliban have found that their followers get a boost out of the foreign angst over the casualties. The Taliban are depending more and more on terrorizing the population into compliance and cooperation. Battles between Taliban and villagers are more common, as are Taliban executions of those considered un-Islamic. This can include foreign aid workers, Afghans who work for the foreigners, teachers in girls schools plus religious and tribal leaders who don’t agree with the Taliban. But the new suicide tactics also incorporates the increasing use of human shields. Taliban are now stopping civilians from leaving combat zones, and forcing civilians to remain in villages and compounds the Taliban are using. The Taliban know that this discourages the use of smart bombs or artillery against them. And if these weapons are used, the Taliban denounce the deliberate slaughter of civilians by the foreign troops. No death goes unexploited. But the widespread use of suicide bombers is very alien to Afghan culture (which very much believes in “he who fights and runs away, lives to fight another day.”) It’s telling that the Taliban have become the bogeyman that mothers now use to frighten small children. Scary monsters, indeed. What the Taliban are overlooking is that they grabbed power fifteen years ago because five years of civil war had made the people eager for anyone who could stop the fighting and general lawlessness. But this time, the Taliban are the main source of unrest and destruction. The Taliban demand “taxes” to fight their holy war and freely kill civilians. The main pro-Taliban tribal chief in Pakistan boasts of collecting over $6 million a month in such taxes. The cell phone has become the most powerful weapon used against the Taliban. The government has a nationwide media program promoting the quick use of the phone to report suicide bomber attacks. 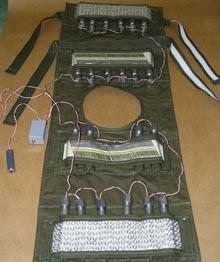 Tips are provided on how to spot a suicide bomber, and the number to call. So far this year, the Taliban and al Qaeda have set off nearly a thousand bombs, killing mostly civilians. This, despite the fact that the target for most of the bombs are foreign troops. The Taliban make a big deal about infidel (non-Moslem) soldiers defiling a Moslem country, ignoring the fact that the Taliban are more feared and hated than the foreign troops. But the Taliban cannot cope with the foreign troops in head-to-head combat. Some 80 percent of foreign troops casualties are caused by suicide and roadside bombs. The main problems in Afghanistan; corruption and the drug trade, are taking a back seat to counter-terrorism work. But the drug gangs are running their own terror ops. In particular, the drug lords are getting their leased politicians to go after crusading journalists. Media stories about corrupt politicians are popular, but they bring unwelcome heat on the drug kingpins, who like to fancy themselves latter day Robin Hoods, not warlords with a good cash flow. So more and more investigative reporters are being harassed by the police. August 19, 2008: An ambush near the capital killed ten French peacekeepers, an event that prompted the president of France to announce a trip to Afghanistan to boost troop morale. What the troops want now are more special operations units, so they can extract some payback. The Taliban unit that pulled off the attack will probably be shot to piece in another operation before the end of the year. That’s the usual fate of Taliban units that are that active. Meanwhile, another Taliban attempt to attack a U.S. base failed. The attack used suicide bombers and over a hundred gunmen, but failed, with great loss of life to the attackers. These attacks are high risk, even if they succeed. But the foreign troops know the Taliban attack tactics now, and have adjusted their base defenses to deal with it. August 17, 2008: A series of Taliban attacks over the last three days have left nearly a hundred dead, mostly among the attackers. The Taliban are freely using suicide bombers and untrained gunmen in attempts to kill foreign troops. The Taliban police have also been a target, and police deaths are up fifty percent this year, compared to last year (when about a thousand died). The local cops are largely seen as corrupt and inept, but they usually can defeat the Taliban. The Afghan Army is much more respected, even though a disproportionate number of its officers are recruited from the north (among the Tajik tribes) and few of the troops come pro-Taliban areas of southern Afghanistan. August 16, 2008: The government, responding to months of complaints, removed Asadullah Khalid as the governor of Kandahar province. Khalid had been accused of corruption and poor rule in general. Kandahar is the traditional center of Taliban support in Afghanistan, and the source of 90 percent of the heroin production. The new governor is an army general, and expected to resist Taliban threats and drug gang bribes. It’s a tough job. August 20, 2008: Chinese made Airburst anti-personnel RPG rockets have been discovered in Afghanistan, after first being encountered in Iraq, where they were used by Iranian supported Shia rebels. The Chinese made RPG rocket is optimized for anti-personnel effect. To accomplish that, the shell bounces up about six feet, after first hitting the ground. Then the 5.7 pound warhead explodes, releasing hundreds of metal fragments. Casualties can be caused nearly fifty feet away. Because the warhead explodes in the air, and is full of metal fragments, it is more than three times as likely to kill or injure than the usual RPG warhead (which is designed to penetrate armor). The “Airburst Anti-Personnel” rocket also has a longer range (over 1,500 meters, more than twice that for the anti-armor rocket). Iran buys these rockets from China, or maybe even makes its own copies. Iran denies supplying weapons to the Taliban or al Qaeda (which are violently opposed to the Shia brand of Islam practiced throughout Iran and southern Iraq.) But in the past, Iran has aided al Qaeda, and Iranian gunrunners will sell weapons to anyone who can pay. The special one-page bulletin was sent last week to all Denver police officers and other law enforcement agencies across the state. It provides a glimpse into what law enforcement officials fear, anticipate and are watching for. The no-nonsense alert also says law enforcement personnel should be on the lookout for large amounts of helmets, chest protectors, gas masks, metal pipes and PVC piping which can be used “as sleeping dragons to block intersections and building entrances.” A sleeping dragon, in protest parlance, is a “lockdown” device that allows protestors to firmly attach themselves to each other so they are difficult to separate and can block traffic and intersections. The police notice requests that if any officer or agency discovers stockpiles of the above mentioned items, they should contact a Denver police detective. It also asks any information be shared with Denver police about “potential violent protestors” who have rented camping spaces, rented farms or land around the time of the DNC.